3 Years, What can I say? This 3 year milestone causes much reflection. So much so that I have spent time reading my old blogs. I see where I started, who was with me and how I have grown in so many different areas of my life all which I am humbly grateful. I have so many thoughts and reading the blogs brings back memories, more than I can expound upon. Since I consider myself a bottom line person there is no way I can speak on it all. I would not want to bore you. (smile) A wise elder once told, "the main thing is to keep the main thing the main thing". c2q . So today the #1 main thing is "who was with me". I am thankful to those who encouraged, inspired, challenged and sometimes even tested me to get to this point in my quit smoking journey. There are too many names to name, the ( Elders, Quit Buddies, Friends , Admin, Supporters). To the leaders who came before me, I truly understand their passion, compassion and desire to give their very best "to help" on this quit smoking journey. Normally, I would say that today is not about me; but truth be told, "today it really is". After 3 years, I have grown to become one of them, "to help". I pray that I am able to do it with the same love, compassion, patience, humility, knowledge, wisdom, peace and understanding that I have been shown to inspire someone to be like us......FREE, which quite frankly "is the bottom line". As Mike.n.Atlanta would say, "keep on keepin' on" and Summer-Rain would say "the journey continues". I say, "Hold on, hang tough, stay close, never give up, never give in, protect your quit it is your own because the best is yet to come". 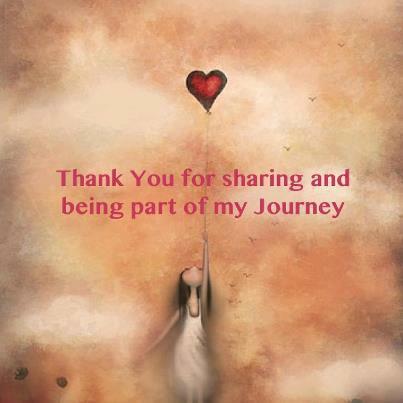 My advice today is to blog or journal about your journey, you will be glad you did. Thank you, I am glad you are here also. Love you and I am so very happy and proud to be on this journey with you! Congratulations my friend! Thank you, "you helped". Love you back. EX6.1 Here we come....Yay!!! Whoo Hoo. Oh wow! Is it 3 years? I didn’t stop by the train today. Congratulations Jackie! You have been one of my guiding lights! Thank you! You have made this journey so much fun for me. You keep me laughing. Dear Jackie it has been such a pleasure to have been on this journey with you . I am just a few weeks behind you and yet you have been not just a buddy but like an elder for me too . You are one wise and strong woman ....a fabulous Ex'er and I will be happy to always follow in your footsteps ! PS I realized today why you chose that particular date you gave yourself a beautiful present ! Jackie---So happy for you today! You have been such a strong, steady force here at EX that it's hard to remember a time you weren't with us. Stay Strong. Thank you for your support. It is people like you that make this site what it is. Yes you can Ralph, Holler if you need me. Thank you. That means a lot. Thanks for all the "testing". THREE YEARS + one day! That WAS fun, wasn't it?!!!!!!! Sorry to be missing this year's event. Maybe the next one?! So happy for your THIRD, Jackie. It's hard to believe you were ever a smoker. The only good thing about that is you quit and thus this site and we have benefited by your strong and ongoing support. You are such a great example of CAN DO! Stride on! Thank you for challenging me to keep going. Your words of encouragement echoed confidence that you believed I would make it. Thanks for being here, you don't have to do it but you do. Beautifully put Jackie. Inspiring. And a big congratulations and hug on your three years of smobriety! Big thanks for sharing your experience strength and hope here at Ex.